Hauntingly atmospheric and supremely powerful at the same time. 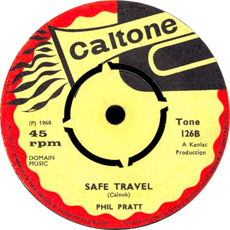 Ace producer Phil Pratt was just as good behind the microphone as the mixing desk and he never had a finer moment than with Safe Travel (though some may argue that Sweet Song For My Baby ran it pretty close). This tune was stupidly obscure, pretty much only known by rocksteady obsessives, until Pressure Sounds picked it up in 2005. 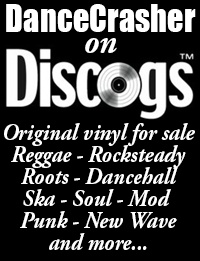 They chose it as the title track for their compilation of Phil Pratt’s 60’s productions: Safe Travel – The Rare Side Of Rocksteady and it finally got the recognition it so richly deserved. 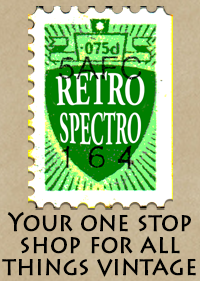 Safe Travel was originally issued on 7″ single on the UK Caltone label and on a Jamaican Wiggle Spoon blank.